Your knee is a complex hinge joint consisting of bone, cartilage, ligament, muscle and other soft tissues. Any of these can be injured and result in knee pain. • A sensation of locking or giving way. • Knee Arthritis: common symptoms are an ache and stiffness to the joint but the condition can become worse over time and you may suffer pain and locking of the knee. The pain is usually eased by heat and support. Gentle exercise is also helpful. • Torn Cartilage: Common symptoms of a torn cartilage include: Knee Swelling, Pain and a sensation of knee locking and or giving way. The symptoms may settle down with self-treatment but if the locking or giving way sensation persists then you should seek the advice of a medical expert as surgery may be required. • Anterior Cruciate (ACL) and Posterior Cruciate (PCL) ligament injuries. The ACL is the most commonly injured knee ligament but it is often in association with damage to other parts of your knee such as cartilage damage and other ligament damage when the ACL actually ruptures. ACL ruptures typically occur following a significant injury in sports such as skiing, football, rugby and hockey. Advice of a medical expert should be sought to determine whether you have ruptured your Cruciate Ligament as surgery may be required. • Ice packs (applied for 15 minutes every 2 hours) for first 48 hours. 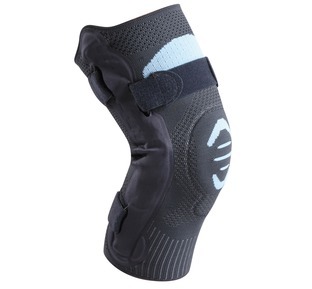 • A knee support or brace will assist with both your pain relief and injury healing by reducing the load on the ligament. • First treatment should be ice and compression of your knee. 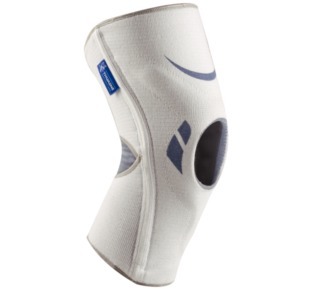 • Support with a knee support or brace help protect your ligament as it heals. • Exercises to help strengthen the injured knee will assist with your recovery. 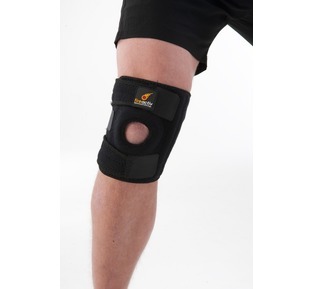 • Management of a knee injury by a qualified medical expert is also recommended.